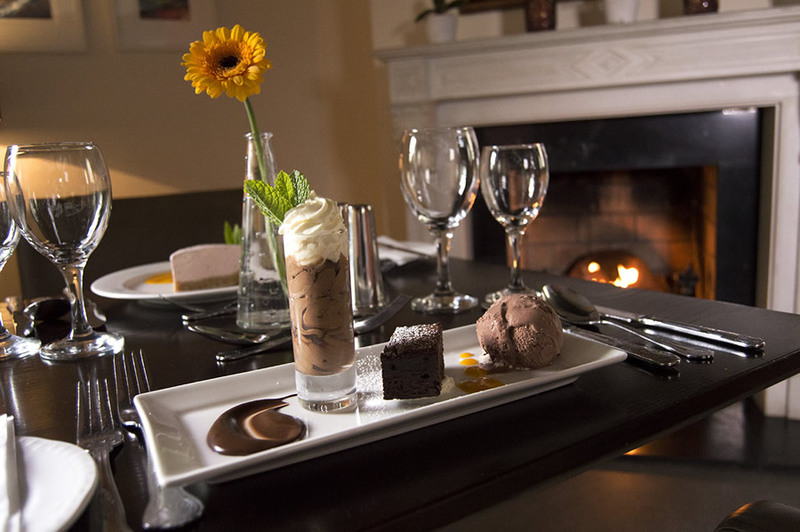 Cahir House Hotel is described as the jewel in the centre of the heritage town of Cahir. The Hotel offers visitors modern facilities with the luxury of old world charm. Generations have used the hotel as a resting point on their journey since the time of the Bianconi horse drawn carriages in the 1800s. Free Wi-Fi available in ground floor area with Bar, Restaurant, Lobby, Snug and Library. Available in bedrooms at a rate of EUR4 per day. 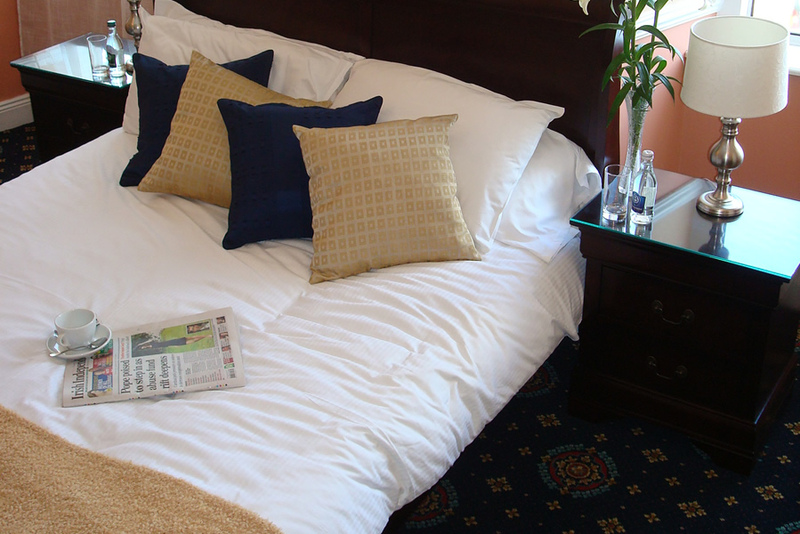 Family rooms consist of a double bed & single bed. A camp bed or cot is available on request. The hotel is at the Crossroads to the south, an hour from Cork/ Limerick/ Waterford and 2 hours from Dublin. 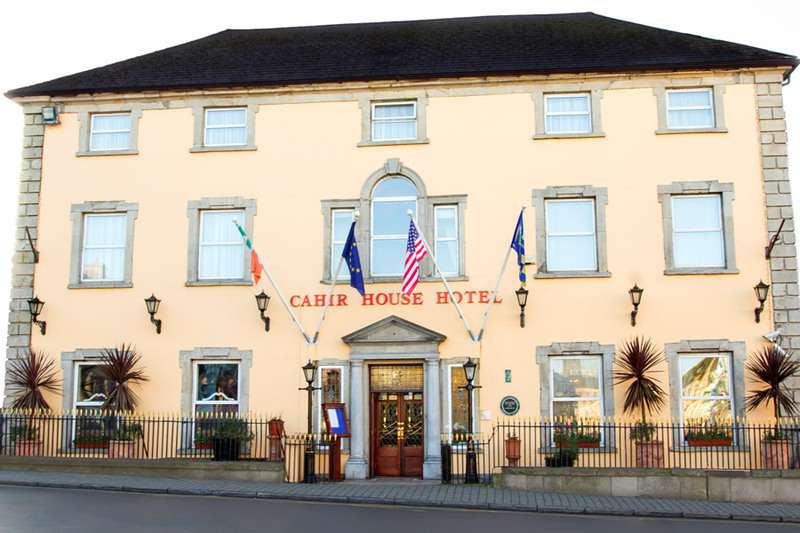 The hotel is located in Cahir town square, 4 minutes off the M7 motorway at exit 11. The Heritage town of Cahir has lots to offer. The famous Cahir Castle is 50 metres from the hotel entrance and found on the river Suir which is world famous for fly fishing. The beautiful Swiss Cottage is 2km from the hotel and can be reached by a very impressive and picturesque walk at the rear of the hotel. There is an 18 hole golf course 3 minutes from the hotel and 7 more courses within a 40 minute drive. The hotel is surrounded by 3 different mountain ranges (Galtee, Knockmealdowns, Commeraghs) which provide great walks for hill walking enthusiasts. Cahir had some old world charm. Staff were so welcoming and efficient. The food was excellent, and the rom was clean and comfortable. I enjoyed a very pleasent stay at the Cahir House Hotel. We stayed two nights b/b and one dinner, we enjoyed our stay the food was good, the staff were very friendly, the music in the bar on Friday night was was excellent not loud you hold a conversation or dance great. One night stay on a Saturday night - family of four. Had dinner that evening, food was good except somebody seems to like mayonaise as both my starter and my son's main had a lot of it! Breakfast was good with plenty of choice. Room was good size for four but soundproofing between the rooms is an issue - you can easily hear voices from the adjoining room. Lovely staff very friendly, couldn't do enough for you. Nice old cosy irish country style bar & hotel. Good food & drink, excellent variety. Very well situated in the middle of the square in Cahir. Bad points but (not many). Irish breakfast not great (fatty bacon not nice) I would search another supplier for bacon, black & white pudding. Décor could with some attention dated, especially bathroom facility (shampoo dispensers etc) On the whole lovely hotel. Lovely friendly crowd of local people I must say. Dublin business man. I must say my stay in Cahir House Hotel was excellent , the staff were courteous and helpful. I will stay there again. Nice hotel, helpful staff, clean and quiet room, good food and lots of it. Ideal location right in the centre of town. Wifi only available free in the bar and not a great signal, but we had come on holidays to get away so not a big deal for us. the dinner and the breakfast were very good, the staff were A1, me and my wife enjoyed our stay. Lovely and helpful staff. at reception the dining area and the bar. Would recomend anyone to stay. We thoroughly enjoyed our stay at Cahir house hotel. Good food..pleasant and helpful staff. Stayed for two nights, polite and friendly staff, in the main. The food was OK. Not a hotel for the wheelchair-bound, old or a young family, you have to walk up stairs to get to your room. There is no elevator . It was a challenge to get a child's buggy up these stairs. The shower room had loose tiles due to no grout, cannot see that being very safe. Hotel in a good location but is basic.The breakfast-yougurts,breads,cheese and fruit and you can order scrambled egg or a full Irish breakfast from the menu.The bedrooms are very basic and could badly do with been upgraded.The tiles are up in the bathroom and the wood has been damaged with steam.The shower is very good with great pressure.The bed we had-had springs up through it.The staff were nice and the town is nice for a family walk down by the river suir.There is no elavator in this hotel and you have to carry your case up 2 flights of stairs and up and down corridoors as the hotel is quite old.